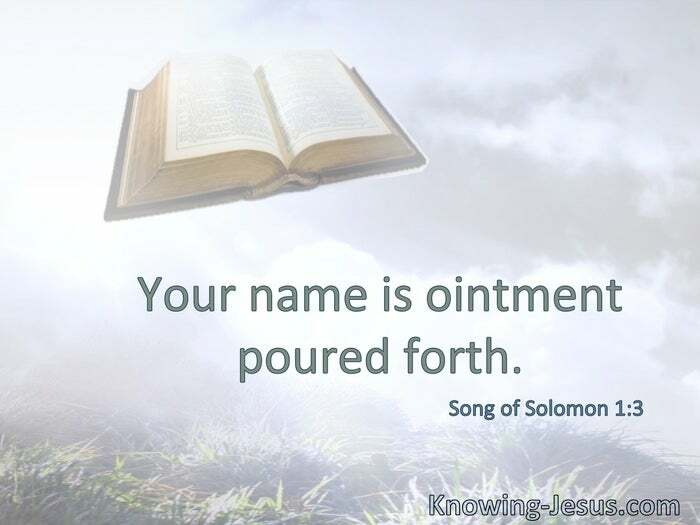 Your name is ointment poured forth. Christ … has loved us and given Himself for us, an offering and a sacrifice to God for a sweet-smelling aroma. § Therefore, to you who believe, He is precious. § God also has highly exalted Him and given Him the name which is above every name, that at the name of Jesus every knee should bow. § In Him dwells all the fullness of the Godhead bodily. If you love Me, keep My commandments. § The love of God has been poured out in our hearts by the Holy Spirit who was given to us. § The house was filled with the fragrance of the oil. § They realized that they had been with Jesus. O Lord, our Lord, how excellent is Your name in all the earth, who have set Your glory above the heavens! § Immanuel … God with us. § His name will be called Wonderful, Counselor, Mighty God, Everlasting Father, Prince of Peace. 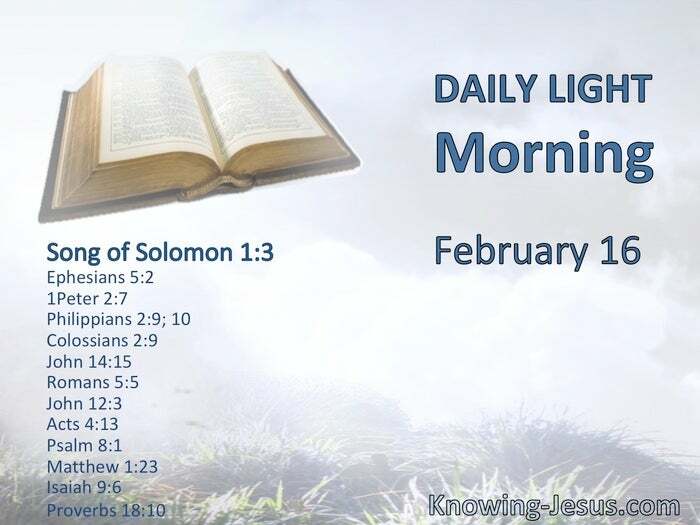 § The name of the Lord is a strong tower; the righteous run to it and are safe.